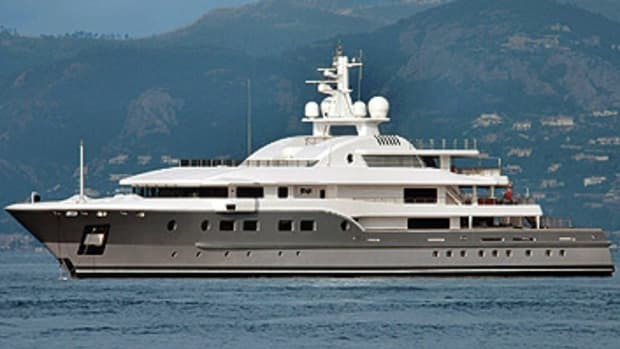 Seventy guests and 60 crew can fill the decks of Turama, and still there’d be plenty of elbowroom left over. The main saloon has a grand piano as well as a dance floor, plus a plasma TV—but movie watching is arguably better in the private theater that can seat 12. 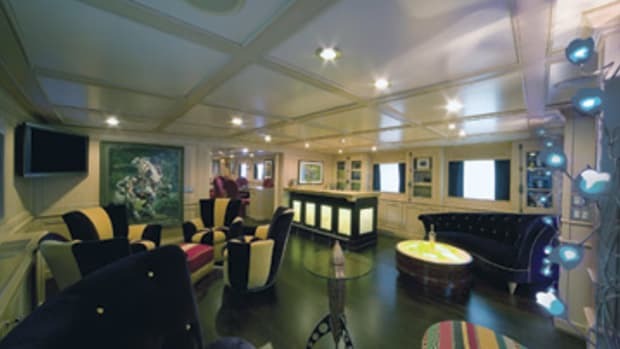 Should you decide to charter her and occupy the master suite, forward on the upper deck, you can enjoy breakfast in your own private area, or you can join your friends in the Espresso Cafe on the “reception deck,” one level down from the main deck.